Solar Power has tremendously become popular these days. More and more people are switching towards solar energy in their day to day life. Solar Power has plenty of applications be it for residential or commercial purpose. We at Greenworldinvestor have always tried to increase awareness amongst our readers about the advantages of using solar energy. There are plenty of solar products available which aim at reducing our expenses and are also more energy efficient and environment friendly. 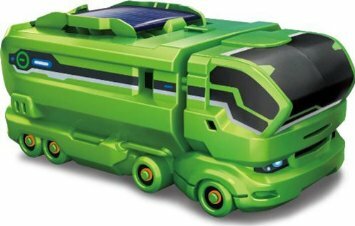 Having talked about the complex solar products, I would now like to draw the attention of my readers towards solar powered toys. You heard it right! Kids now a days always need a variety of toys to play. The battery operated toys are expensive and demand changing batteries at regular intervals. I was browsing the internet for some educational toys for my son, when I stumbled upon few and would like to share them with you too. If we believe in Solar energy, better introduce it to the young minds at an early age too. These toys have a solar panel inside which can be put under the sun and when charged can be connected with the toy to move them. They come with different parts, which can be easily assembled to form different objects, thus providing more variety to the kids. Some of them also have a gear box and charging station. 1) 6-in-1 Educational Solar Kit Build Your Own Science Toy DIY – It is a green colored toy, where the kids can assemble the parts and form six different objects out of it – a Solar Revolving Plane, Solar Windmill, Solar Plane, Solar Airboat, Solar Puppy, Solar Car. 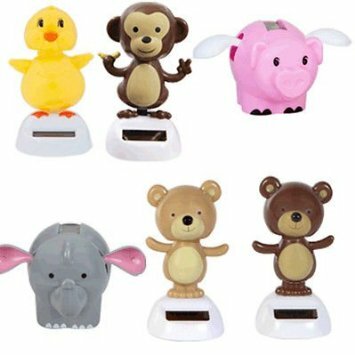 2) Set Of 6 Solar Powered Dancing Animals – Consists of a collection of six animals, which dance when charged by solar energy. Ideal for small children and also the elders for a smile. 3) OWI 7-in-1 Rechargeable Solar Transformers – Very innovative solar science kit, can build seven different modules: 2 power charging stations and 5 different vehicles. 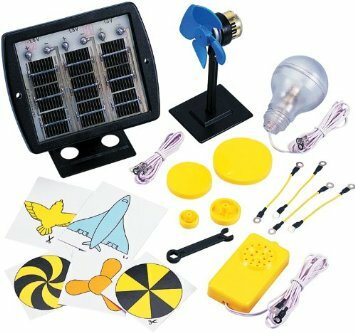 4) Elenco Solar Deluxe Educational Kit – This is a bit complex but quite an educational kit, containing solar cells, wires, bulb, fan blade etc. Teaches the concepts of energy conversion. 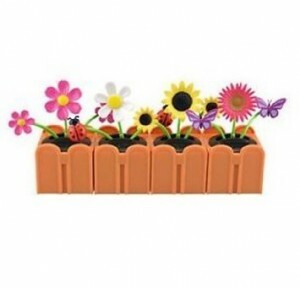 5) Connectable Solar Dancing Flowers – Connectable dancing solar flowers can be displayed individually or connected to form an array. Colorful flowers with lady bugs and butterflies. The flower dances after absorbing solar energy. 6) Solar Minion Dancing Toy – Another most popular solar toy is teh solar powered minions, where the minion moves from one direction to another, as soon as light falls on it. Fun to watch, can be mounted in the car or a study table. Kids love minions! However not suitable for kids under 3. 1) Easy to assemble – All these toys are do-it-yourself, very easy and convenient to use. 2) Perfect for school children – Children between 7-10 years can easily assemble them and younger children can happily play with them once done. 3) Educational – Teaches children the applications and advantages of using solar energy and also the concepts about solar energy and recharging. 4) Very Cheap & Affordable – Come in a price band of ~ Rs. 200-400. The toys use solar energy which is free. 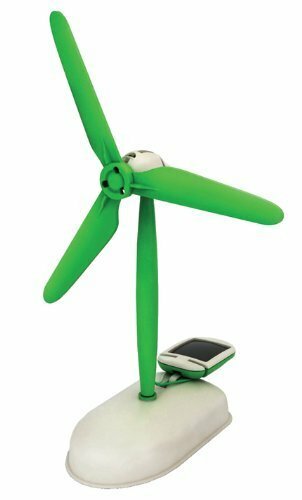 5) Safe & Environment Friendly – Since these toys are solar powered, they do not require batteries for recharging. They use solar energy which is more eco-friendly. I was really happy to share this with my readers and hope they might find it useful to educate their children. Please feel free to share your solar stories/ experiences with us by clicking here.